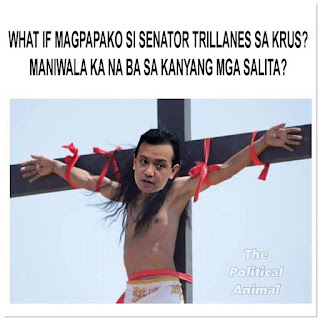 Former DILG Secretary Manuel A. Roxas may have finally gotten the people's favor at last. It was confirmed by this photo that he did indeed bring the Balangiga Bells from the United States back to the Philippines. President Duterte decided to praise his current critic Roxas and said, "You have done your job well Roxas. It looks like you can still be redeemed. 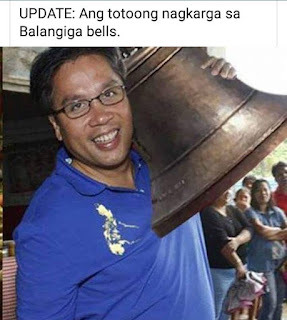 If it wasn't for Mar then the Balingiga Bells which rightfully belongs to the Filipino people would have not been returned." The picture showed Roxas having carried said bells to their location. He was given a warm reception by the people of Balangiga.